DIY (Decorate it yourself!) 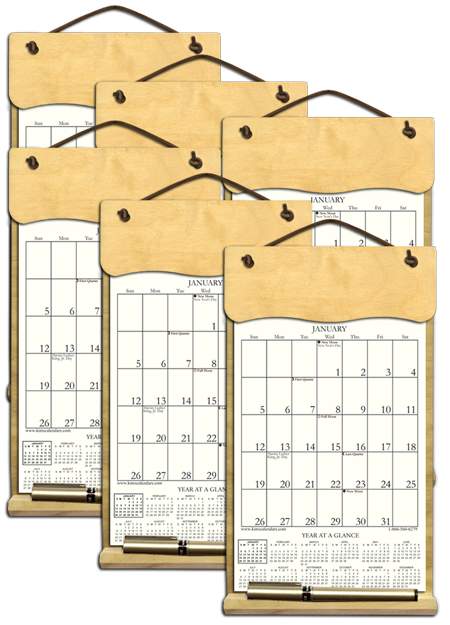 Holders Perhaps you want to decorate your own calendars to give away as gifts! My small holders measure 7" x 12". They are made of birch & maple, have a handy pencil holder attached and are hung by a rawhide lace. 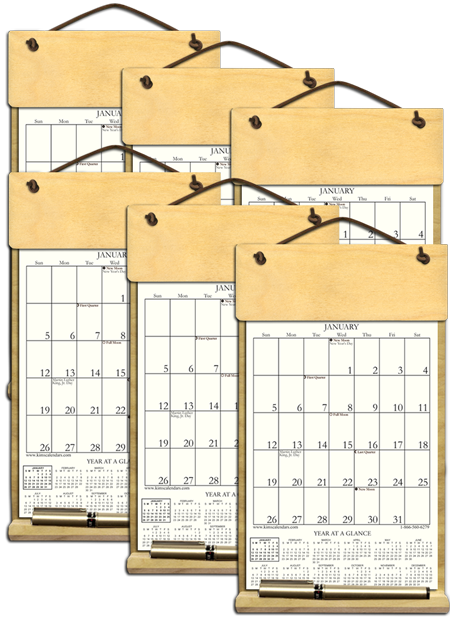 The easy to write on calendar pages show moon phases, holidays and the year at-a-glance. They are filled with 2019 and include an order form for 2020. Refills are available every year.9 FREE SHIPPING ON ALL HOLDERS!